Companies pour a lot of money into training. And of course, they hope that money is well spent. That would mean that the training worked, in casual terms. Or, to be more specific, that employees learned things, developed new skills, and changed their behaviors at work, and those changed behaviors ultimately contributed to progress toward a business goal, such as increased workplace safety, higher production efficiency, increased sales revenue, lower total costs, the roll-out of a new product, or similar goals. But exactly how do you know if your training was effective? To figure this out, Donald Kirkpatrick came up with something now called Kirkpatrick’s Four Levels of Training Evaluation. There are other methods to do this, but Kirkpatrick’s Four Levels are a widely used method. They became very popular after he published his book Evaluating Training Programs in 1994. We’ll learn more about the four-level Kirkpatrick evaluation in this article. 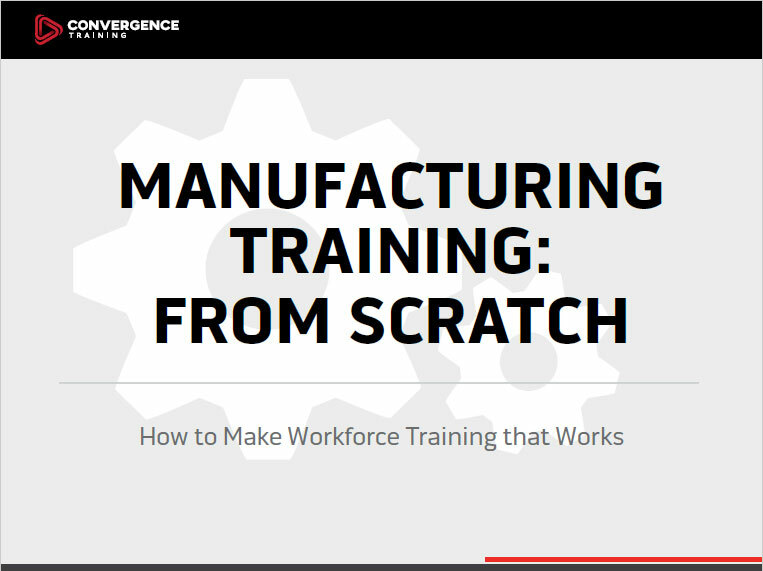 Convergence Training are workforce training experts. Explore the links below to learn more about us. Kirkpatrick’s model evaluates the effectiveness of the training at four different levels. All four levels of evaluation have their place and their significance, and each builds on the other. So, let’s take a look at these levels, shall we? Level 1-Reaction: what do the learners/employees themselves have to say about the learning experience? Level 2-Learning: did the learners learn the knowledge, skills, or attitudes (KSAs) that the training was intended to convey, as determined by some form of test or assessment immediately after training? Level 3-Behavior: did the learners transfer the newly learned KSAs to on-the-job performance? Level 4-Results: what was the tangible result of the training in terms of meeting a business goal? So how do you measure each of these four levels for training evaluation? Level 2-Learning: These are assessments during and/or immediately after training, and include role-playing scenarios during training, focus groups, case studies, pre-tests, post-tests, unscored practice tests, skill demonstrations, etc. (Read more about testing after workforce training here). Level 3-On-the-Job Behaviors: Observation of on-the-job behaviors and other evaluation metrics. This is where you’re watching to see if employees remember and apply the new knowledge and skills on the job. Level 4-Business Results: Direct measurement of progress toward a business goal–cost, revenue, production, etc. (Read more about measurement of training’s influence on business goals here and even more about level 4 training evaluations here). So there you have it, a nice, easy, four-level method for evaluating the effectiveness of your training materials. Training is valuable, helpful, and necessary, and we’re a big proponent of it, but you definitely want to make sure it’s helping and this is one good way to do that. Since this method was originally developed, a revised “new” Kirkpatrick Evaluation Model has been created. Click that link to get it from the horse’s mouth; we’ll add this to the list of things to write about in the future. A final note: for a LOT more information related to this topic, check out Don Clark’s always informative Big Dog/Little Dog blog. Don’t forget to download the free guide below.